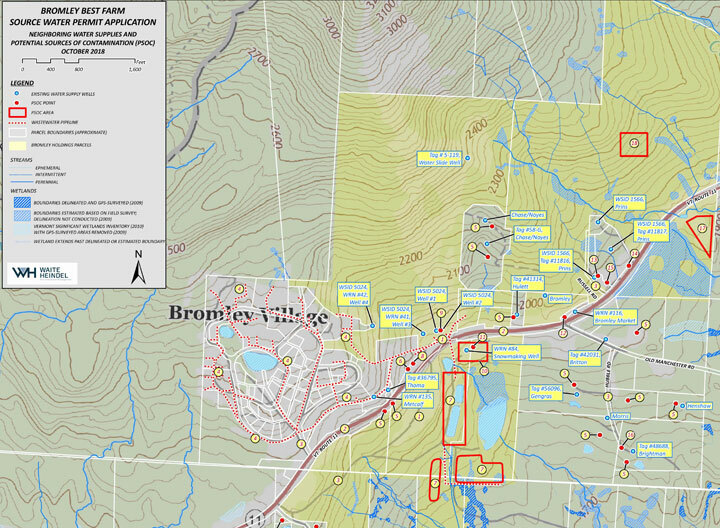 WHEM is working on a team to assist Bromley Mountain Resort on a proposed expansion of the ski area combined with 200 new residential slopeside units and 18-20 new residential lots. As the hydrogeologists for the project, WHEM will be working with Bromley, the project engineers, and the VT DEC Drinking Water and Groundwater Program, to develop over 200 gallons per minute of additional water capacity through the drilling of at least 3 new high-capacity wells. The work will involve source site identification, source permitting, well drilling oversight, source quantity and quality testing, and source protection plan development.